CES hasn’t been a show for major smartphone releases for a number of years now and while we think the Nubia Red Magic Mars is an interesting device, this year’s CES didn’t prove any different. 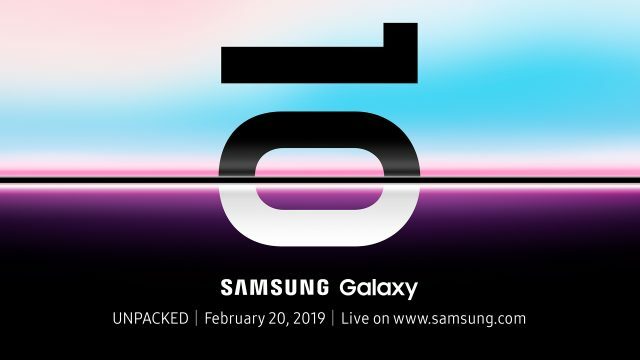 But Samsung has brought a little flagship device news to the tail end of the CES cycle by sending out invitations to the Samsung Galaxy S10 Unpacked event in San Francisco on February 20th. This lines up exactly with the rumors from last month, so no surprises here, but it’s nice to have the official confirmation. 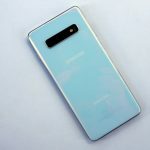 We’ve had no shortage of leaks surrounding the Galaxy S10 Lite, S10 and S10+, including the screen sizes (5.8, 6.1, 6.4), hole punch cutouts, ultrasonic in-display fingerprint sensors, reverse wireless charging. So much like the Galaxy Note 9 presentation last year this one is going to come down to how Samsung decides to shape the message around the devices. Like much of the industry Samsung is hoping to turn things around in 2019 after missing sales targets on the Galaxy S9 and suggesting that the fourth quarter will again be a miss for them. The Galaxy S10 and its variants do finally represent a change in design from Samsung and critically a break from the notch design that so many opted for in 2018, so there’s certainly reason to believe these devices could spark renewed interest. The Wall Street Journal is also reporting that Samsung will show off its foldable smartphone at this event, a logical move given the attention that they will have to themselves a week prior to MWC, but curious given the reports regarding the status of that hardware this week. But it may be an extremely controlled demonstration of that device. Regardless, we are ready for the 2019 smartphone season to kick off and Samsung’s Galaxy S10 lineup looks to be a solid start.